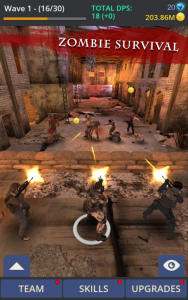 Pick up your weapons, call your brothers, and get ready to fight the endless hordes of zombies! Sector 51 has gone to hell, and as part of the international recovery efforts, you have been called upon by the World Peacekeeping Association to undertake “Operation Gun-Strike”. Find and equip your own team, and get ready to make a stand for humanity! -The entire game can be played for free! 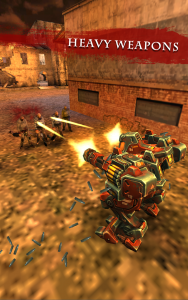 -Amazing 3D scene and high-resolution models. Beautiful effects and particles. Optional first-person camera angle. 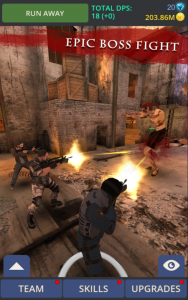 -Your team continues to fight the zombie hordes and collect loot, even when you are not playing! 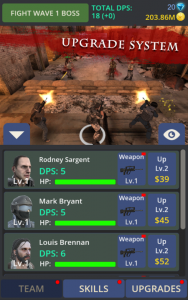 -Build and customize your team to fight the zombie hordes! -Multiple weapons at your disposal, from the everyday AR-15 to the infamous AK-47. -Fight mighty bosses at the end of each wave! 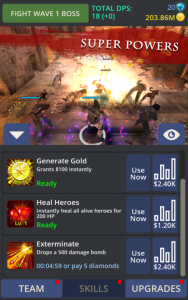 -Unleash hell upon your enemies, boost your team offensive capabilities, get more loot, all available with just a single tap. Please leave a review if you like our app. Thanks!